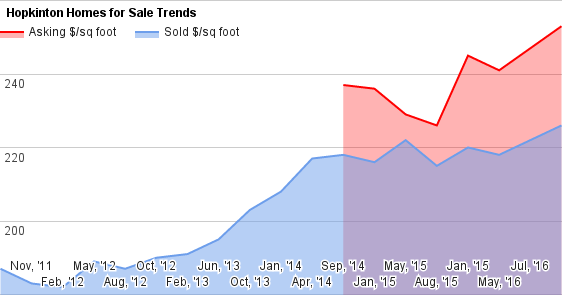 Hopkinton Home Sales remain strong, and the chart shows it. Home buyers keep moving up, but home sellers are moving up just as fast, if not faster. 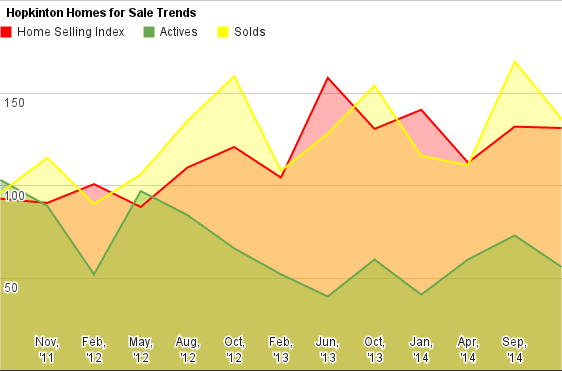 Inventory remains tight, and without inventory, prices may keep moving up. In Hopkinton, home sellers are far more optimistic than they are in Holliston. 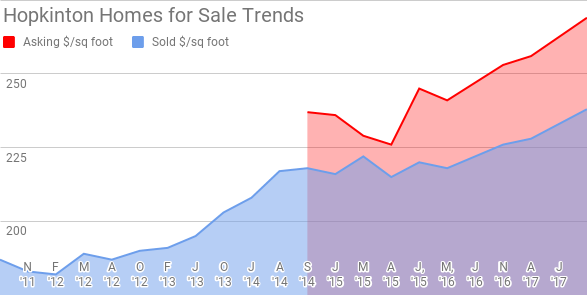 Hopkinton prices have been moving up, after a period of stability, but home sellers are moving expectations up even faster. A funny thing happened on the way to the Spring Home Market. Buyers held their collective ground on price increases. Hopkinton sees prices under pressure more so than the last couple of years. In 2012, there was a huge push on prices in Hopkinton, that eventual resulted in a 10% move. But it hasn't really moved since, except perhaps seasonally. Prices have stabilized in Hopkinton, but the market remains tight. The HSI has been in a tight range, but with inventory headed down - as elsewhere in the area - pressure on home prices could start to build.